HP – Hewlett Packard, one of the world’s leading technology companies providing hardware, software and services to consumers underwent construction of a new unit at their HP European Software Centre in Co. Galway. 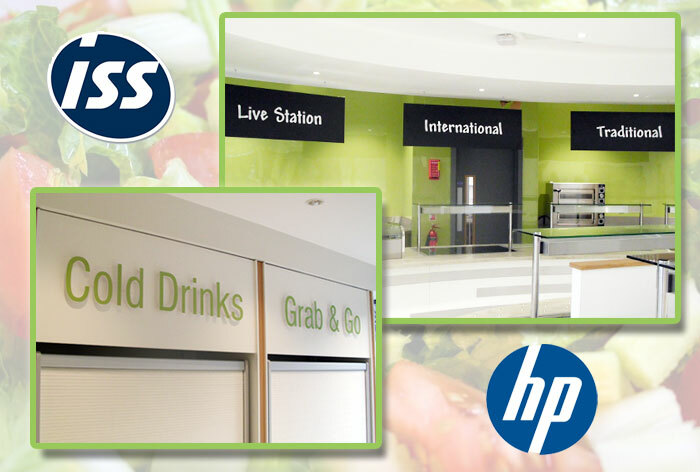 As part of the new build, ISS – Integrated Service Solutions, one of the world’s largest Facility Service Groups operating in 53 countries employing more than 500,000 globally with over 200,000 business to business customers chose Sign Solutions….every sign imaginable to manufacture and install the signage elements for the new HP wing. The assignment included signage manufacture of Raised Carved 3D Lettering to incorporate colour coding with a laminate face. The lettering was fitted to the wall surface with concealed fixings to the back of each letter. 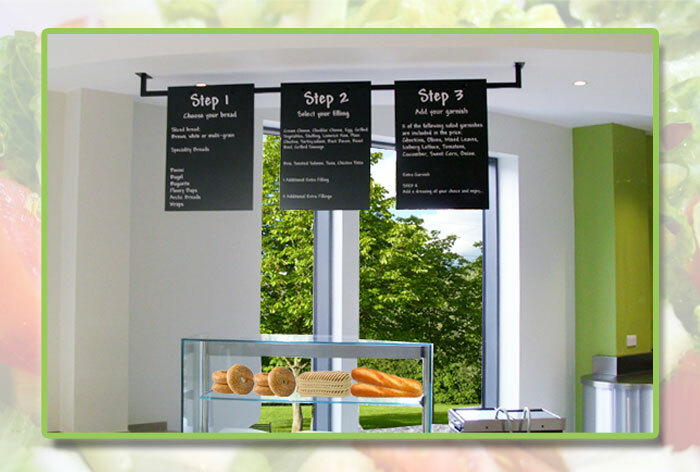 Suspended Aluminium Graphic Panels with a matt finish surface where installed from the ceiling and Menu Information Black Boards with special laminate covering for ease of price point change where fitted overhead. We worked closely with our clients at ISS World taking a full brief of the plan and together with our highly trained graphic designers, manufactures and installers achieved these high quality displays systems to our customer’s satisfaction.